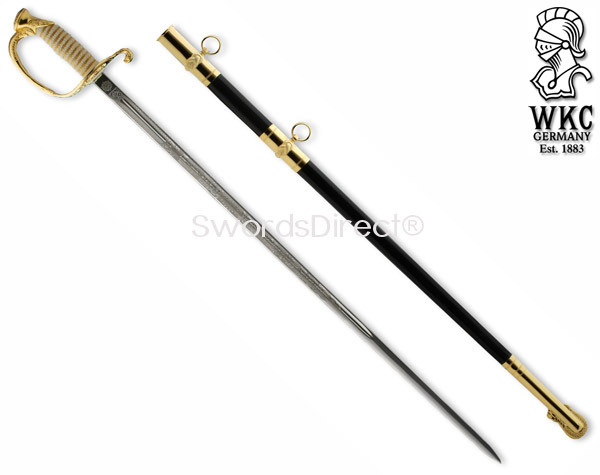 WKC Marine NCO Swords are handmade in Solingen, Germany. 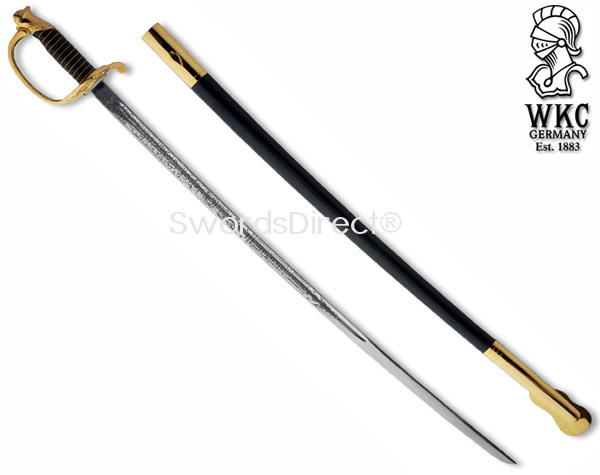 These official military swords are certified by the Marine Corps Systems Command (MARCORSYSCOM) and feature an acid etched United States Marine Corps pattern on the blade. 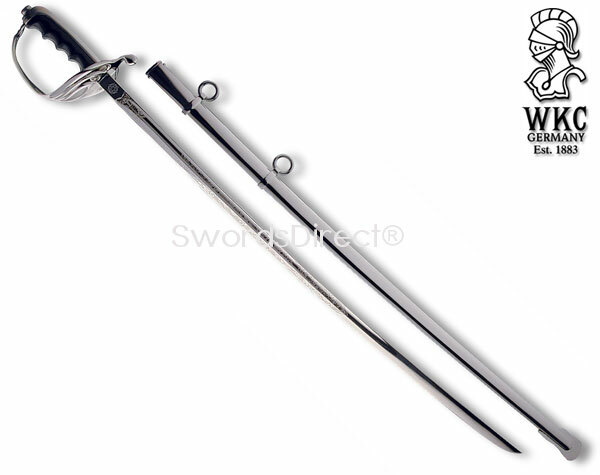 The stainless steel blade has an unsharpened edge which makes them ideal for drills, ceremonies, military retirement presentations and display. 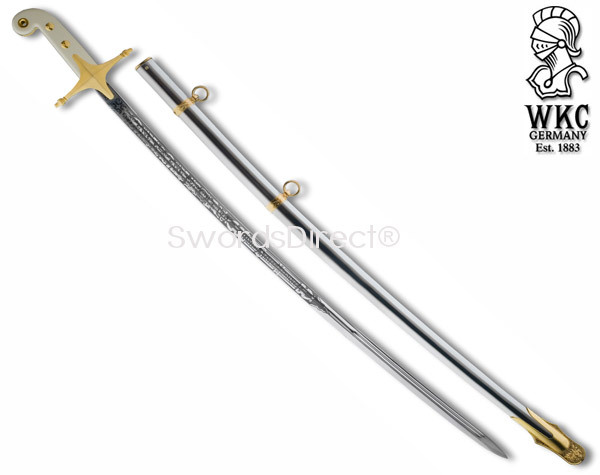 These swords are built to the highest military specifications and include the certification number etched on the spine of the blade near the hilt. 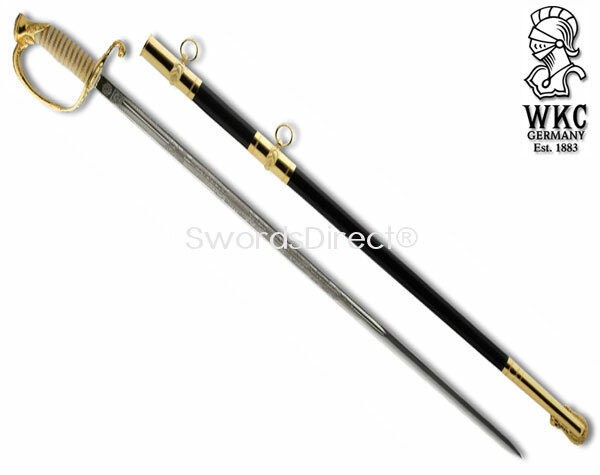 They are hand polished and have a carbon steel tube scabbard that is covered with black leather. 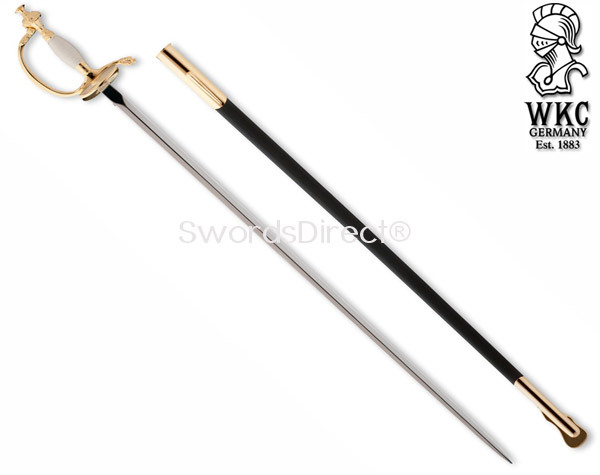 The scabbard has 24kt gold plated brass mountings. 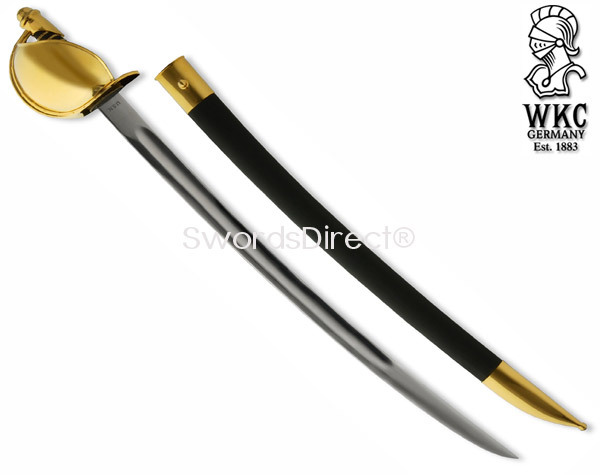 These military swords feature hand polished brass fittings that are plated in real 24kt gold. They have a plastic grip that is covered in real leather with twisted brass wire. 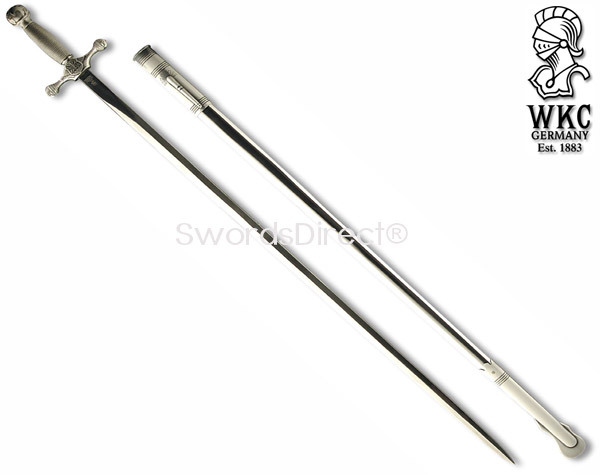 These sabers include a protective cloth storage bag. 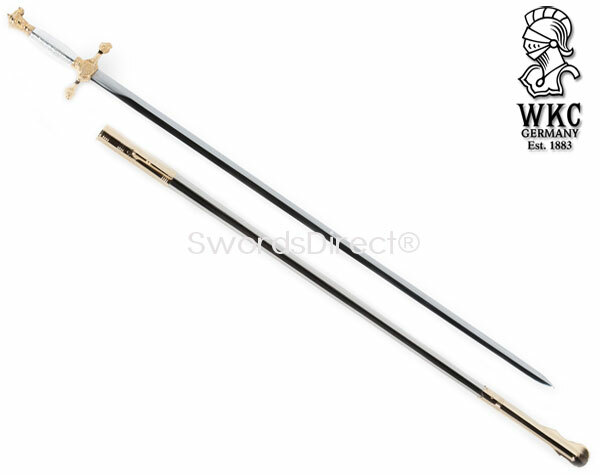 Buy the certified and official WKC Marine NCO Swords $499.99.